For years myself and a few running buddies had muted the idea of running a race up and over Mount Solitary, and last year the guys at Running Wild put it on. The winner in the first year was our own Andrew Vize, setting a blistering time of 5hrs 5mins in the process. But with no Andrew this year, who are the leading contenders? Before we launch into that, let’s take stock of the course that over 200 lucky people will be running next Sunday. For those not in the know, the race starts at the old Queen Victoria Hospital, the scene of the last checkpoint in the North Face 100kms, which is on next month. From there, runners have around 2kms of undulating and relatively flat trail before descending steeply into the Kedumba Valley via 4WD track to a small turn-off in the bush. 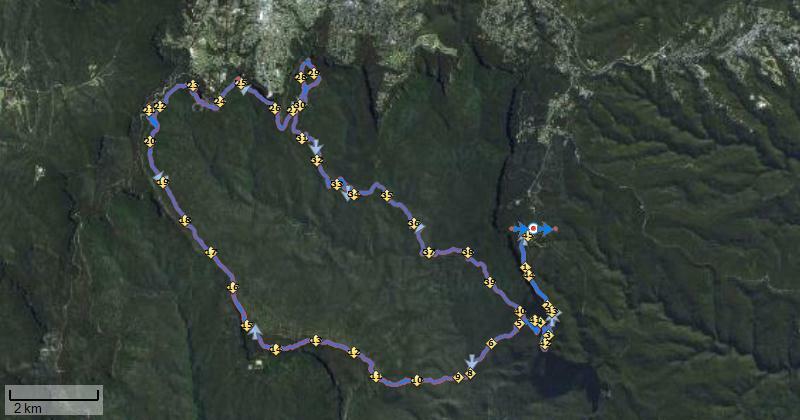 Then it’s 3kms downhill to the valley floor, a quick creek crossing and then its time to hold onto your hearts and feel them hanging out the back of your arse – 650m straight up over 3kms. The first 1km or so seems relatively OK, before it flattens out and then it hits you like a pie in the face. It’s head down and watch that heart rate go through the roof with a bit of hands and knees scrambling, before you hit the top and what I would regard as the best views in the Blue Mountains. If you stand at the Three Sisters, you can see Solitary, but looking at it from the other side gives you an entirely new perspective. Then it’s 4kms across the top of Solitary and this can catch people out. Over the course of that 4kms you rise another 150-200m or so. It’s tough, dogged running across there and despite the dozens of times I’ve run up there, I’ll always take a new route or miss a turn, so keep your eyes open. Then it’s time to descend down towards Chinaman’s Cave and the Ruined Castle and you’re back on the North Face course, but in the opposite direction. Here you have around 6kms were you can really open up the throttle and move some before you hit the landslide and things get awkward again. Once across that, say hello to the Japanese tourists at the cable car, before you head across to the Leura valley and some of my favourite running. Down, down you go, through the forest and then back out to the Jamieson Valley. The trick here will be to manage your quads enough for the climb back up Kedumba, all 6kms of it and 650m worth of climbing. It’s runnable, that’s if you can still run before the final 2kms back to the hospital for glory. This run has it all, steep climbs, tough technical stuff, downhill, free-flowing tracks and then a lovely meander uphill to finish. There are a couple of real standouts here and we think the ladies race is going to a very tight affair. Margaretha Fortmann, a new addition to the Salomon team here in Australia is probably the one to watch, and she’s no softie when it comes to tough terrain having finished in the top ten at UTMB. 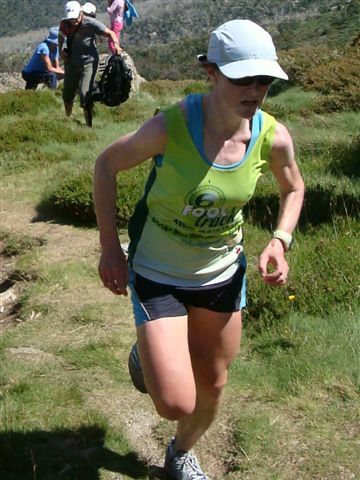 She’ll lap up the Solitary climb faster than Marcus’ dogs can drink water after a 20km trot around Manly Dam. Chasing that leading pack of four will be a few other very well placed ladies that could snag a podium spot. 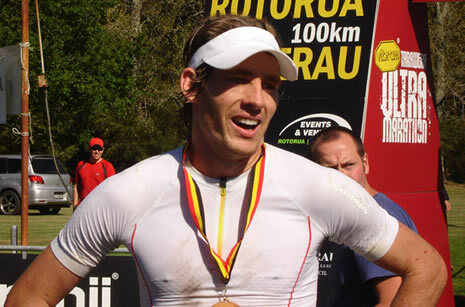 Ding dong Donges… it’s hard to look past the pin-up boy of Australian trail running right now. All the chicks dig our Mick, and when the chicks dig Mick, Mick run faster and faster. He can’t seem to put a foot wrong this year, and despite some stiff competition (and not just from the ladies! ), he’s our pick for the win here. Will it be another happy ending for Mick at Solitary? But, we have it on good authority from the Lower Blue Mountains Banjo and Moonshine Association that Sleep Train is on fire right now. My sources tell me that he’s been ripping his ‘6ft track simulator course’ to pieces of late – is this the second rising of the prodigal son? There is however some serious talent that will be tapping these two boys on the shoulders. Last year’s second place getter, Fats (Tony Fattorini to the uneducated) is sure to be firing, as is trail legend Jonathan Worswick. However our dark horse for this race is Ian Gallagher. The former Pork Pie Pom has shed a good 7kgs from last year and is gunning for a sub 2:40 marathon in the not too distant future. Ian joined us for a cheeky 45kms in the mountains recently and the boy made it look easy. Keep an eye out for him, he’ll be the one doing 3:30kms down Kedumba at the start. As always, if you feel hard done by and we haven’t included you in our list of top picks, don’t take it personally. We’re either really poor at what we do, or you’re not as good as you think you are 🙂 Also, if you think otherwise on our top three picks, let us know who you think will win too. Sorry to blow his cover, but ‘Fats’ was flying way under the radar going into Six Foot. The grapevine suggests he may be managing a minor niggle, but if he is in similar shape or better than a few weeks ago, there’ll be a lot of us watching his arse disappear. Never talks up his chances, and eats hills for breakfast, lunch ansd dinner. Deserving of serious consideration for any trifecta punters out there. Agree BD. watch out for Gallagher though. Star of this event is the course and using one of Dan’s favourites – we could “bang on” about it all day. But to the favourites…on paper Artup should decimate this field, but it’s the longest 45km’s going which will give Donges a fighting chance. Guessing top 5 will go or be close to sub 5hr?? Do two laps if you want 50 miles. Not sure there is enough landfill to cover Tropic running two laps and his potential top blow up. NPWS have spoken to us specifically about him and the damage he can cause. Who’s NOT focusing on TNF100? That’s my pick to win. The fast guys looking to perform at TNF i’d think will be coming in off a couple easy days (if that) and not fully rested. Fresh legs to run away with it up Kedumba. Harder to pick than a broken nose! Race well guys, I’ll be thinking of you running wild through the bush while I pound the pavement in suburban Italy! A former Luxmore Grunt record holder, good bloke and my pick for the vets has moved over the ditch and has a late entry. A genuine dark horse. Definitely will be putting money on a Team No Roads double though…Ben/Mick/Clarke and Beth or Angela in the womens. Fatts is much fitter than last year. He will be up there for sure. Tucks and Fats will be top 3 for sure. Tucks is over his recent health issues and Fats eats this sort of course up (then farts it out). I see the Sydney boys are all coming out in favour of Tucks and Fats… one thing’s for sure it’s going to be mighty mighty close up front. Normally I’d be with you, apart from one factor… that massive 650m climb over 3kms in the first 11kms. This makes this race quite a level playing field, and the effects of that won’t be felt until the guys are bombing it down the Jamieson Valley and then begin to haul themselves back up Kedumba… Still too close to call I think. Dan it is more like Tommy is putting his support behind his two HuRTs superstars. Bring on the HuRTs vs. No Roads showdown! It’s a shame Vizey isn’t having a trot to defend his crown. I guess we have to wait until TNF to see that showdown. sorry! posted similar comments twice think you get the drift!